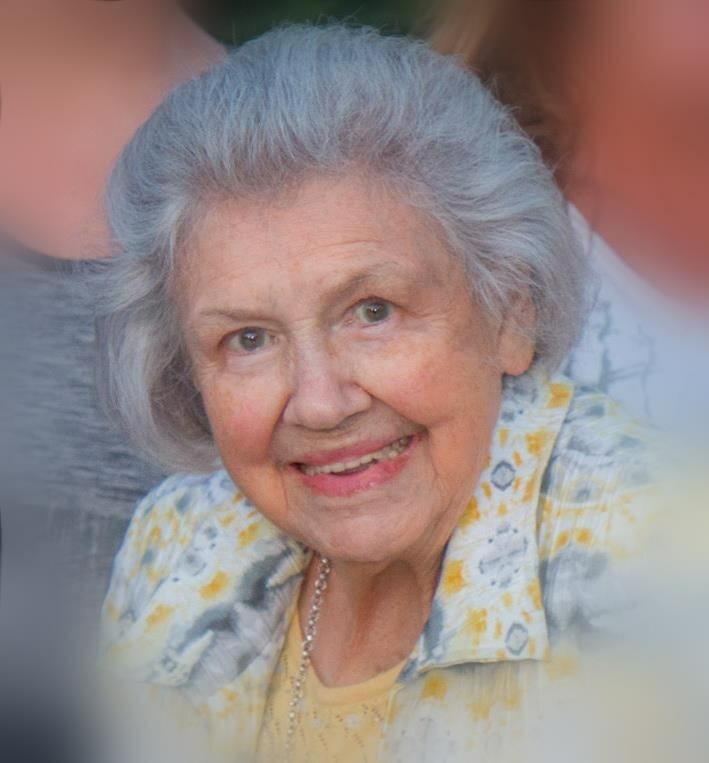 Charlotte Barnes Roe, 96, Gray, passed away Friday, January 25, 2019, at NHC HealthCare. Charlotte was born in Johnson City to the late William Fuller and Ada Adams Barnes. Charlotte retired as a teacher from Science Hill High School. She was active in Alpha Delta Kappa, the organization for women educators. Charlotte was a member of Monday Club, Retired Teachers Society, American Business Leaders and Central Baptist Church. She enjoyed traveling when she was younger and was an avid shopper, referring to herself as a collector. In addition to her parents, Charlotte was preceded in death by her husband, George Roe. Survivors include: one brother, Freddie Barnes; one dog, Tina; two nieces, Caryn Stover and her husband Mark and Holly Harris and her husband Sean; one nephew, Billy Barnes and his wife Tara; two great nieces, Cali and Piper Harris; and two great nephews, Jet Harris and Garrett Stover. A funeral service for Charlotte Roe will begin at 11 AM Monday, January 28, 2019, at Morris-Baker Funeral Home with Chaplain Steven Spell officiating. Pallbearers include: Mark Stover, Sean Harris, Jet Harris, Garrett Stover and Billy Barnes. A committal service will follow at 12:15 PM at Monte Vista Memorial Park. Family and friends are asked to meet at the cemetery by 12:10 PM. In lieu of flowers, memorial contributions may be made to Washington County/Johnson City Animal Shelter, 3411 N. Roan St., Johnson City, TN 37601. Know you are with Ada and George..I will.miss you and keep you in my heart and memory always my dear friend..
My dearest friend that I met in the fall of 1977 when I started teaching at Science Hill High School was a major part of my life. We traveled, shopped, attend meetings, go to Wendy’s, Dairy Queen, Taco Bell, Cootie Brown’s, Olive Garden and various other places. As tears stream down my face I know you are with George and you will the answers to so many questions or better yet those questions will not matter now for you are in your heavenly home. You never hurt anyone in your life but it seems life was constantly sending you a curve ball but you always stated “I’ll do my best Glenda, just glad I have you to bounce things off of.” As she told me last Friday ” Glenda I love you more than you know”. I am blessed to have crossed paths with Ms. Charlotte and our paths stayed together for 42 years and we always picked up were we left off no matter if we were twenty minutes from each other or 700 miles. Every precious moment we had together as friends will not be forgotten. You are with your love of your life “George” and that is all that matters as well as your Heavenly Father has you in His arms. I can not say good bye for I know I will see you soon when I am called to my heavenly home. Glenda –I love you so much Ms. Charlotte. My precious sweet Charlotte..I will miss you more than you will ever know. I had the privilege of taking care of you and Tina for several months. I soon found out there was one way to do things .. Ms. Charlotte?s way.. oh how you loved your coke floats at exactly 5 pm. Ms. Charlotte couldn?t see well and loved to be a armchair shopper with her magnifying glass, writing each item down and making a list. Ms. Charlotte was raised during the depression and was very frugal with food but loved to collect beautiful items and had a taste for flair. Mr. Freddie ( her brother) resided with her briefly for companionship.. both of them had poor hearing and would send me back and forth to see if each one was warm, needed a drink of water or was hungry. Rest In Peace Ms. Charlotte with your beloved husband and thank you and your family for giving me the privilege to serve you thru Visiting Angels. My condolences to her family and Mr. Freddie. I am saddened to hear of Mrs. Roe?s passing. I am a 1969 SHHS graduate and was privileged to have her as a teacher. Every time we ran into each other over the years, we had the best time catching up. Just last year, I realized she was a ?neighbor? of my uncle at NHC and we had several lengthy visits which I will forever cherish. My prayers are with each of you during this difficult time. I will always remember you and all the laughs we shared. My life was deeply enriched by the time spent caring for Mrs. Roe. I felt we became friends and I loved and greatly admired her. She was articulate and had excellent recall for past and present events. She would occasionally mention things that highlighted nearly 100 years of Johnson City history. I learned from her not to stereotype the aging process, that our joys, frustrations, and ways of doing things are parts of our unique and lasting personalities. I remember her as a regular gal in a 95 year old body. I loved Tina, also, and hope the best for all of Mrs. Roe’s remaining family. I am so saddened to hear of Mrs. Roe’s passing. I was one of the many people blessed to having Mrs.Roe in my business classes at Science Hill. She was one of my favorite teachers, always smiling and ready to assist. I had to call her one night about a problem I was experiencing. I remember her telling me what a wonderful telephone voice I had- very professional and warm. Her words encouraged me to continue on in my business pursuits. Charlotte was an active member of Gamma Chapter, Delta Kappa Gamma teachers? honorary society, and served as the treasurer for many many years. She was loved and respected by all our members and will be missed.